Due to overwhelming demand for our services, we've had to limit our consulting and site assessments activities to the "off" season, November 1-February 15th. Sign up early because we book quickly (use the contact form at the bottom of the page). We are booked solid from mid-February through the end of June. Any new garden installations must be completed and in place by March 1. 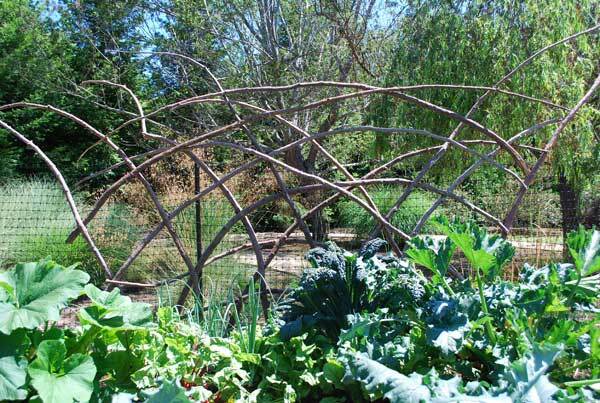 In organic gardens, so much depends on how you start out. I can help you avoid mistakes that cause a lot of wasted effort and headache down the road. It’s so much easier if you get it right the first time. If you live in Sonoma, Napa, Marin, or San Mateo Counties, I am available as an organic garden consultant to help you get started growing fruits, vegetables, flowers, and herbs organically. With over 30 years experience growing organically in multiple Bay Area microclimates, I’ve seen many of the problems you're likely to encounter and can help you avoid them. 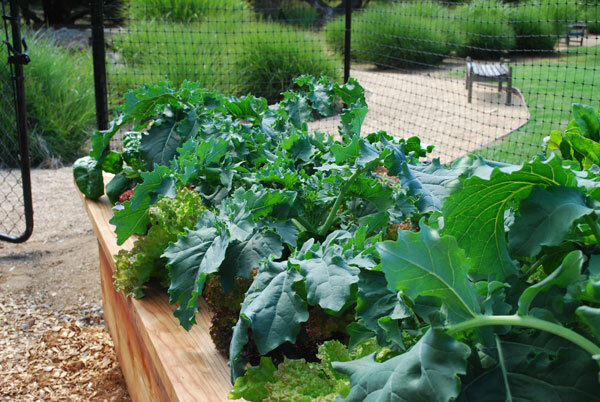 I often work with landscape architects and designers who are great with conventional landscape plants, but have limited knowledge and experience with vegetable gardens. They know nothing about crop rotation, they install irrigation systems designed for shrubs that are cumbersome in vegetable beds that change frequently, they make beds that are too wide and create back strain, and they rarely take into consideration the movement of the sun through the year when orienting raised beds. It's surprising how often I hear the phrase "I would never have thought of that" from them. With my input early in the process, they avoid design errors that limit the garden's productivity, create problems down the road, or make it harder to take care of. Since we maintain organic gardens, our emphasis is on creating productive and easy-to-maintain organic gardens tailored to the client's specific likes and needs. We have so many word-of-mouth recommendations that our full-service client list is always maxed out, but if you're a hands-on gardener who lives near current clients, we may be able to take you on in a Garden Coaching capacity, where we're available to advise and troubleshoot, while you do the work. Having problems with your existing garden? We can troubleshoot issues, point out common mistakes, and make recommendations to ameliorate the problem. 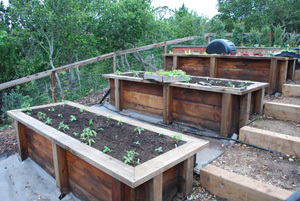 Planting your first raised garden bed? We can help with siting and design of the beds, and fill them with a rich organic soil that vegetables will thrive in. 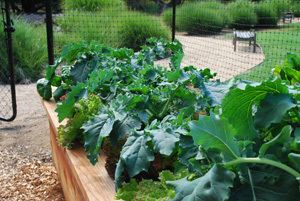 Want to know which vegetable varieties perform best in your area? We’ve experimented with hundreds of varieties of tomatoes, peppers, eggplants, cucumbers, squash, and other vegetables, and know which varieties perform best in the Bay Area. Want to do an organic container garden or balcony farm? 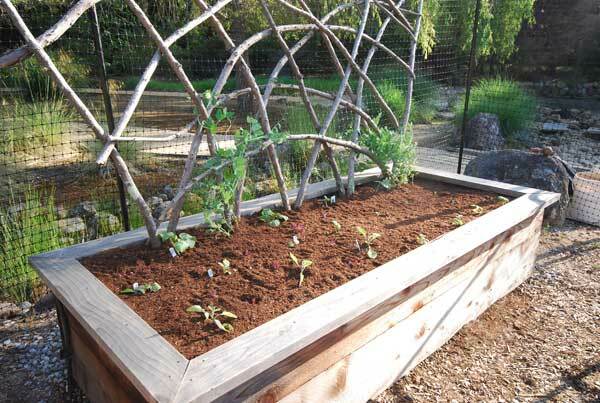 We can help with tweaking organic potting soils and setting up irrigation for growing vegetables in containers. Eager to start composting, or having problems with your compost pile? We can help you set up a composting or worm composting system, or troubleshoot an existing system that's not working. Want to get off chemical gardening? We can recommend organic soil amendments to replace chemical fertilizers, and set up a customized garden plan for your site that will build up populations of beneficial insects to attack garden pests before they become a problem. 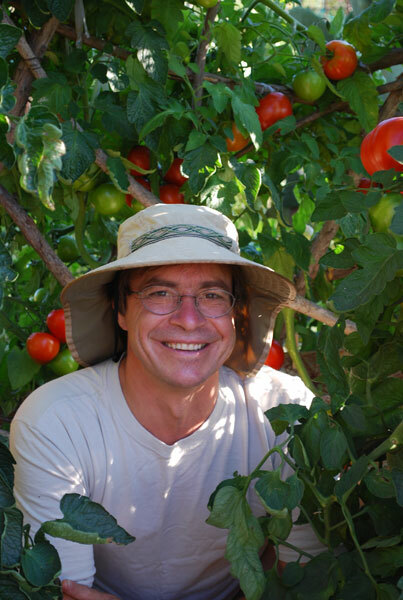 I’ve been growing vegetables organically in the San Francisco Bay Area since 1985, and designing, installing and maintaining raised bed and in-ground organic gardens and edible landscapes since 2002. 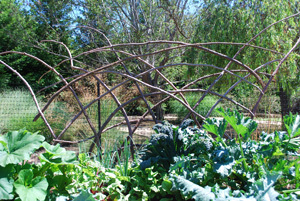 In 2007, I re-started the student garden at the Stanford Community Farm. I taught the Local Sustainable Agriculture Field Practicum at Stanford University in 2007 and 2008. $400 for a 1 1/2 hour site assessment and consultation, followed by a written report of site-specific recommendations. Road time applies outside a 30-mile radius of Petaluma, California, but can be reduced or waived if I can schedule multiple consultations in the area the same day.